On 6 May, just a few hours away of the launch of the European Commission’s Digital Single Market Strategy, Copyright 4 Creativity (C4C) gathered representatives of the EU Institutions at a breakfast event in the European Parliament to explore if licencing is the miracle solution in the copyright debate, as some stakeholders claim it to be. The debate hosted by Swedish S&D MEP Jytte Guteland, was co-organised by C4C with COMMUNIA, Europeana, and C4C signatories EBLIDA (European Bureau of Library, Information and Documentation Associations), IFLA (International Federation of Library Associations and Institutions), Kennisland and LIBER (Association of European Research Libraries). MEP Guteland kicked-off the debate calling for a balancing act between the diverging interest in the copyright debate, be it those of creators, rightsholders, innovators or users, to not tip the balance in one direction. 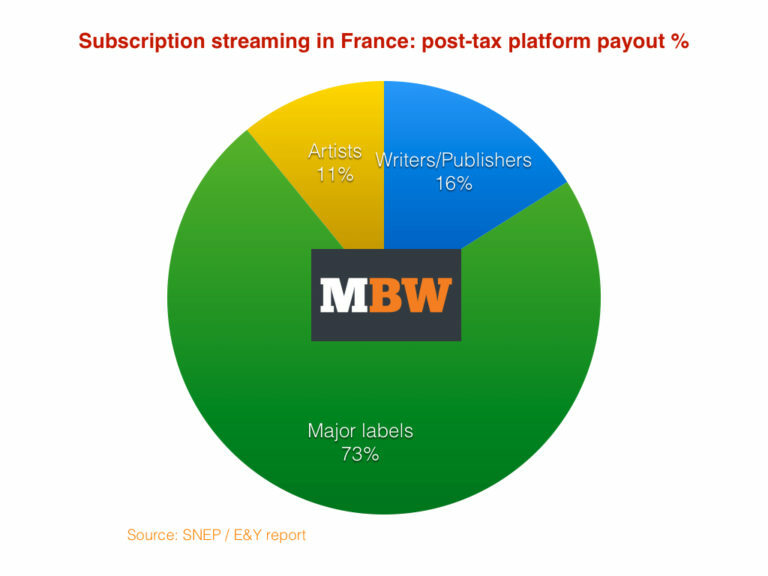 She expressed her concerns around the weak position of creators, referring to a French study comparing the record labels’ share of streaming pay-outs (73%) to that of artists (11%). MEP Guteland also talked about the Swedish licensing scheme, as the country introduced extended collective licensing in the 1960s. The scheme allows users, such as libraries, to acquire all the required rights, while ensuring fair remuneration for authors, even when they are not affiliated to a collecting society. Finally, she stressed the need to facilitate cross-border access to content and pointed out that safeguards for licencing negotiations should be considered in cases where the bargaining position between the parties is unbalanced. Ms Maria Martin-Part, Head of the Copyright Unit in DG CONNECT at the European Commission, couldn’t shed much light on the Digital Single Market Strategy, as the College of Commissioners was set to discuss and approve it by noon that day, but informed the participants that the copyright section was broad enough to move forward with a revision of the current framework. While more harmonization was clearly on the table, an ambitious project such as a single EU Copyright Title was not, as this would be a long term project. Focusing on limitations and exceptions, Ms Martin-Prat considered that exceptions were not only there to correct market failures, but also to support certain public policy objectives. It is, however, not easy to balance copyright protection with advancing public policy objectives. She also reminded everyone that the current list of exceptions and limitations is a result of negotiations with the Member States, and hence often reflect national specificities that were in place at that time. Therefore, it seemed important to her to assess if there is a need to harmonise all of them, and what the right level of intervention by the Commission would be. For example, she wondered what to do with important exceptions and limitations, such as those for libraries and archives: should the EU push for full harmonisation or a more limited harmonisation, that would for example focus on enabling cross-border collaboration? Looking at this question, Ms Martin-Prat reminded everyone of the need to keep in mind the political reality, which revolves around compromises. The compromise could be to identify those common elements in the list of limitations and exceptions where there is a cross-border effect. She considers that the European Commission’s proposal to modernise the copyright framework should create the space to find an agreement, instead of launching big ideas and being confrontational. MEP Helga Trüpel (Greens/EFA, Germany) pointed out to Ms Martin-Prat that several Member States had indicated a willingness for more harmonisation, especially in the areas of libraries, education and research. Ms Martin-Prat pointed out that this is not as straightforward as it seem. She took the case of the education exception as an illustration: the implementation across the EU is extremely diverse, as some countries have put in place a compensation system while others haven’t, some exclude textbooks, or put limits to the use, in other cases the exception only applies if there are no reasonable market alternatives. MEP Mary Honeyball (S&D, UK) asked if the solution was not to find a middle ground between a full harmonisation and the current framework, which would result in an approach that delivers legal certainty while offering Member States some flexibility. Ms Martin-Prat reacted to this by wondering at which level such flexibility should be introduced: at the EU level or that of the Member States? She is also worried about the lack of legal certainty, if there is a certain degree of flexibility for those limitations and exceptions that impact the online sphere. This could quickly create problems at the level of the Internal Market. She also questions the impact on the Court of Justice of the European Union (CJEU): would a fair use/open norm type of exception not lead to massive referrals from national courts, flooding the CJEU and creating the need for a specific IP Chamber? MEP Julia Reda (Greens/EFA, Germany), Rapporteur of the Report on the implementation of the InfoSoc Directive, responded by pointing out that there are different kinds of flexibilities, and that an open norm could help to better tackle the periods in between reviews of the copyright framework. She questioned if the European Commission is considering a scenario of minimum harmonisation, wherein those limitations and exceptions with cross-border effects would be harmonised and Member States would be allowed to add limitations and exceptions on top. Next to that, she also wondered why the (leaked) Digital Single Market strategy had no reference to the EU public sphere. MEP Reda considers that this is an area for common standards, thinking, for example, of the parody exception and the freedom of panorama. Ms Martin-Prat acknowledged the fact that exceptions, such as the one for parody, have cross-border effects, but stressed the difficulty of trying to agree on common (higher) standards with the Member States, as this requires a certain level of trust amongst them. She referred to difficulties faced with the Marrakesh Treaty on copyright exceptions for the visually impaired. Kennisland questioned if there was room to update the list of exceptions and limitations , as some are outdated (e.g. the use of ‘dedicated terminals’, or quotations being limited to text). Ms Martin-Prat agreed that speaking of ‘dedicated terminals’ is no longer relevant in this day and age, but moving towards more technological neutrality is also not the right solution. In her view, the quotation exception as such could be applied beyond text to audiovisual material, but it’s rather an issue of the implementation by Member States that limits it. In a way, the exceptions and limitations suffer from their flexibility, she acknowledged, as they were written very broadly. IFLA, the International Federation of Library Associations and Institutions, raised the issue that today the limitations and exceptions are being bypassed through licencing. However, four Member States (Belgium, UK, Ireland, Portugal) already tackled this by giving the limitations and exceptions legal protection. Ms Martin-Prat was not convinced that this should be tackled as a general principle, but considered that this could be envisaged on a case-by-case basis. This could, for example, be taken on board in a text and data mining exception. In discussing the link between remuneration and limitations and exceptions, IGEL – the German Initiative against an ancillary copyright law for press publishers – pointed out that there are dysfunctions at the level of the Collective Management Organisations. Ms Martin-Prat agreed that there is a need for these organisations to work in a more efficient and transparent manner. Ms Jill Cousins, Europeana’s Executive Director, discussed the gap in 20th century material available through Europeana, as only 13 million (or 30%) of the 43 million objects on Europeana come from the 20th century post 1920 (*). This is a perfect illustration of market failure and of licencing not being a solution, as it has proved to be a daunting task to track back the rightsholders in the first place. To illustrate how resource and cost intensive this effort is, Ms Cousins gave the example of a Dutch film archive where 3 to 4 staff members are tasked with rights clearance, and are only achieving a 50% success rate. Cultural Heritage Institutions are not lawbreakers by nature: when the rightholder is un-findable, content is not digitised. As a result, instead of giving content a 2nd life and opening it up to discovery and new opportunities, without damaging revenue streams, it remains in the ‘black hole’. It should indeed be noted that when institutions digitise material this does not automatically imply that they are allowed to make it available online. Europeana also faces the fact that other institutions cannot share their collections with them, due to cross-border licencing or rights clearance issues. The shift from analogue to digital represents a dramatic change in how Cultural Heritage Institutions are preserving and providing access to their collections. This is an irreversible process and the public increasingly expects collections to be available online on platforms they use. Updated exceptions and limitations, especially around reproduction rights and online and cross-border access, can provide the legal space that Cultural Heritage Institutions desperately need to operate and fulfill their public service mission, instead of chasing rightsholders. Mr Paul Ayris, EU & Horizon 2020 Adviser to LIBER and chair of the Chief Information Officers Community of LERU (League of European Research Universities), illustrated that, in the case of text and data mining, licence based approaches represent an unbearable burden for scientific institutions. Currently, 4 scientific publishers, accounting for 72% of the UK universities expenditure on access to content (i.e. almost £ 58 mln/per annum), from the Big Deal package UK universities sign-up to remain silent about text and data mining in their licences. The other 11 publishers have diverging clauses creating confusion amongst researchers and research librarians. Licences do not only restrict researchers ability to perform text and data mining, sometimes they also even impact/restrict the output of these activities. All these complexities introduced by licencing lead to huge compliance costs for institutions. From the perspective of Mr Ayris’ institution, the University College of London, alone this would imply an annual total cost of £ 800.000 (approximately, € 1.078.000). These cost would arise from the need of extra staff members to ensure compliance with the licences, and more importantly 9.000 hours of wasted research time. So, instead of speeding up research, the licencing issues linked to text and data mining would slow it down. The most (cost-)effective solution: a pan-European text and data mining exception with appropriate safeguards to ensure that it is not bypassed through licences. Such an exception would acknowledge that researchers’ right to read equals their right to mine the content their institutions acquired legal access to. Mr Alex Tarkowski, representing COMMUNIA – an international association around the public domain, illustrated that Polish research on the perceptions/attitudes around copyright in education uncovered that 3 out of 4 teachers believes that showing a movie in class for educational purposes is not allowed, although this is actually permitted under the Polish legislation. This feeling of uncertainty is also being abused by certain stakeholders who push schools into signing-up to licencing deals, for content covered by the education exception. The licence option is being presented as the safest path to take, but the rates are predetermined and non negotiable. Today’s uncertainties around the limitations and exceptions could be tackled by an open norm, Mr Tarkowski believes. He also pleaded for ‘reimaging’ the limitations and exceptions in light of todays online environment. In his eyes, copyright needs to become an enabler, so there is a case for a strong harmonisation.